The 2017 Lexus CT may be a good alternative if you're considering the higher trim levels of the Toyota Prius or Ford C-Max hatchbacks—and you'll almost surely find the dealership experience more pleasant. The 2017 Lexus CT remains the smallest and least expensive vehicle offered by Toyota's luxury brand, offered only with a hatchback body and a 4-cylinder hybrid powertrain that delivers a remarkable 42-mpg combined EPA fuel-economy rating. 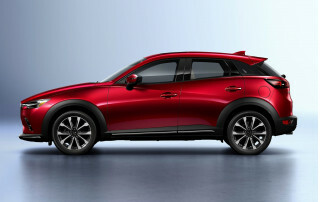 Now in its seventh model year, the CT will soon be replaced with a redesigned version that is likely to include a compact four-door sedan as well as the current five-door hatch. The CT is offered in a single trim level, with numerous options and packages, but the F Sport package groups a variety of sporty and performance-oriented appearance items into what is effectively a different trim. The CT's mission is to attract younger buyers new to the Lexus brand. Its owners actually span a range of statuses and ages, from Prius buyers looking for more luxury accoutrements to more affluent drivers who want to downsize. With a base price of less than $35,000, the CT may be affordable for younger buyers with good credit. For 2017, the sole updates are a few new paint colors. Last year's CT saw a few minor features updated—chrome grille surround, anyone?—but the car's last notable styling refresh was in 2014, when it adopted the the so-called spindle grille common to all new Lexus models. Overall, though, the 2017 Lexus CT remains a low and slab-sided hatchback with a mildly aggressive shape. The long, flat roof ends in a spoiler that visually extends it even further, with only a shark-fin antenna to break up the expanse. 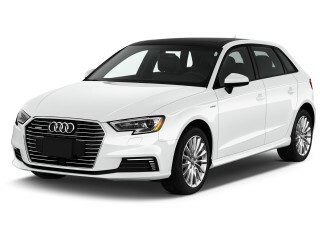 A judicious amount of chrome trim and standard 17-inch alloy wheels make it sparkle and set it apart from drab economy cars of the same size and body style. The Lexus CT's powertrain is unchanged since its 2011 launch. 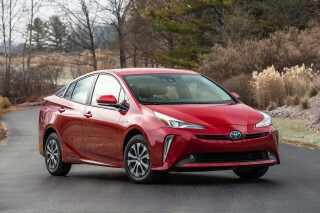 It's based on the last-generation Toyota Prius: a 1.8-liter inline-4 producing 98 horsepower is paired with Toyota's Hybrid Synergy Drive system. A pair of motor-generators can power the car alone at low speeds, add torque to supplement the engine output, and act as generators to recharge the nickel-metal-hydride battery pack under the rear load deck on engine overrun and during regenerative braking. Its most notable specifications are the EPA fuel-economy ratings at 43 mpg city, 40 highway, 42 combined. 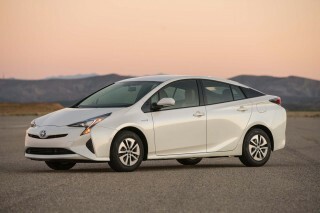 That gives the CT few direct competitors outside the new generation of Toyota Prius, with combined ratings from 52 to 56 mpg, and cars with plugs, including another compact hatchback, the Audi A3 e-tron plug-in hybrid, rated at 34 mpg combined when running on gasoline after its battery is exhausted—but with 15 miles of all-electric range. Ignore the CT's Eco gauge, get used to the howling roar of its engine roar when revved, and your driving will be surprisingly fun—and the gas mileage will still stay at the top of the charts. Behind the wheel, the little CT is meant to be much more sporty than the last-generation Prius that spawned it. The Sport driving mode remaps the electronic responses to acceleration and braking, and also converts the power gauge into a tachometer with red lighting around its edges—a neat and unexpected effect. While the CT responds well and is adequately agile, its numb electric power steering—a chronic Toyota weak spot—means it's nowhere near competitive in driving feel with other compact luxury cars. Inside, it may be more useful to view the CT as a two-person compact with lots of load space than as a four-person hatchback. Front-seat riders will feel roomy, with generous head room, but in the rear, seat room is tolerable but hardly expansive. CT drivers will find it has a low seating position that extends their legs more than in more upright designs. Luxury is conveyed by the design of a wide center console that drops down from a broad, horizontal instrument panel. It houses enough controls, switches, knobs, and displays to indicate that this is a luxury car with features galore. Childless couples who decide the CT offers a more enjoyable experience than the distinctive, numb driving experience of a Prius will appreciate the flat-folding rear seat back, but it's compromised by the high load floor, with the hybrid system's battery pack located underneath. There's only really enough height for grocery bags before the view rearward through the slit-like tailgate window starts to be impeded by whatever you put in the load bay. The IIHS has dubbed the Lexus CT a Top Safety Pick, and gives it the highest possible score of "Good" on all its tests, including the tough small-overlap frontal crash test. But the NHTSA has never rated the car, likely due to low sales volume. While there's only a single trim level, CT buyers can chose from a long list of features—many standard, many more optional—that now includes an optional moonroof. In prior years, the CT added an updated Lexus Enform infotainment system and the addition of Siri Eyes Free as well. All CTs come with keyless ignition, Bluetooth hands-free pairing for voice and audio streaming, iPod control, satellite radio, and the Lexus Safety Connect system. A few of the many other options include rain-sensing windshield wipers, LED headlights and fog lamps, and the Lexus Enform navigation and real-time information system. Lexus dealers offer an expanded list of F Sport items that can further upgrade the car's appearance and improve roadholding and handling. In the end, the Lexus CT is likable and fun to drive, but its lack of updates is starting to show. A long list of standard and available features—along with the cosseting of a far more attentive and personalized dealership experience than those found at some of Toyota's higher-volume dealers—will lure in many buyers. Still, increasing competition in the small luxury segment—the Mercedes-Benz CLA and the Audi A3 sedan included—made Lexus seem prescient in launching the CT in 2011. Now Mercedes has not only a compact CLA sedan but also a compact crossover, the GLA, and Audi has a Q3 crossover as well. 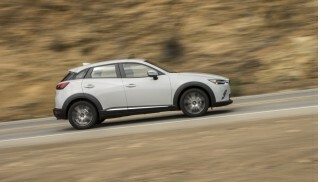 Assuming the next CT arrives soon, we'd suggest it could be expanded by the widely discussed four-door sedan to supplement the original hatchback, but also a crossover smaller than the NX. 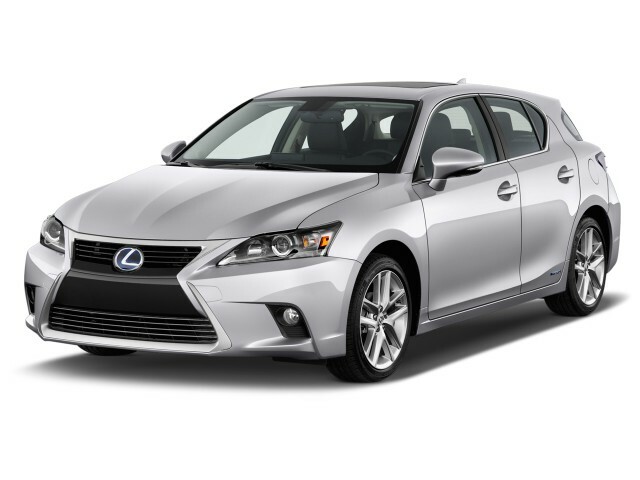 Looking for a different year of the Lexus CT?